Now that April is finally here we can all put the winter behind us and start to look forward to much warmer days and the summer ahead. If you are looking for a way to spruce up the garden in the next few weeks for the warmer season, there are a lot of options you can choose. Today we are going to have a look at just some of the seeds and bulbs which you can sow this month in order to have stunning colour and texture in your garden all summer long. For those of you who are looking for a mixture of plants and flowers which will be easy to handle and maintain, one of the best choices for your garden this spring has to be a cottage seed mix. These mixes will usually contain some stunning flowers such as sunflowers, poppies and cornflowers and they are super easy to sow and grow in any part of the garden. An added bonus of seed mixes such as these is that you can attract a lot of wildlife such as bees and butterflies when these plants flower through May-July. Simply loosen the soil in your chosen plant bed, scatter the seeds, rake them lightly and water them! Spring is a time of the year when we love to bring some bright colour into the garden because it has spent the last few months dull and drab. What better colour to fill the space with than yellow? Marigolds are stunning bedding plants and they will come back year after year to bring life to the space. If the weather is still a little chilly outside this April, Marigolds can be very successful if you sow them grow them inside for the first few weeks of their life. By sowing seeds in the house you will allow them to germinate and develop quicker, and once they are strong enough you can plant them in the desired places outside. If you love the idea of a plant which will spread and flower year after year with little maintenance, Nasturtium is perfect for you this spring. This plant is very easy to sow and once you have done it will flower throughout the summer and into early autumn. The flowers on this plant will be bright yellow and orange and they are edible so can be used for summer salads! To sow these seeds effectively, soak in warm water for an hour or two, before planting 2 inches deep in your chosen soil bed. After around two weeks they will germinate and start to grow. 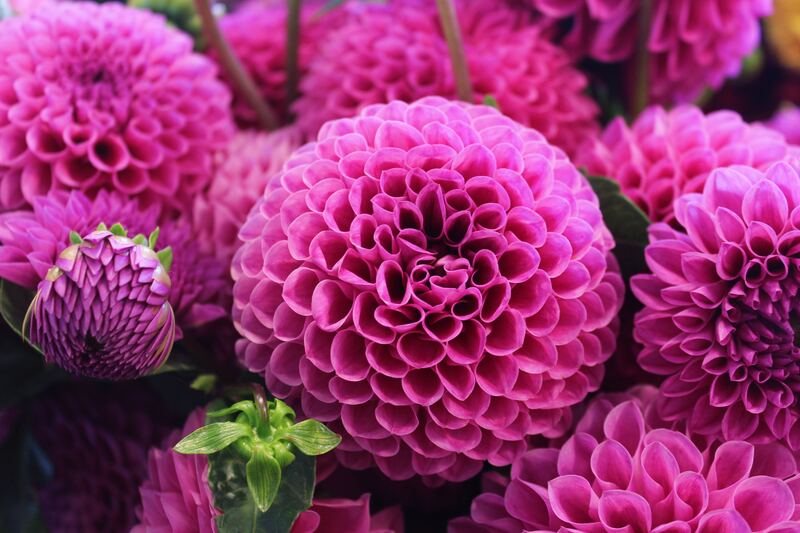 Dahlias are the kind of flower that you expect to see in a luxury flower delivery and they can be amazing to plant in your own garden early in the spring. Dahlias come in a lot of different colours and styles so you’ll be able to find some which are perfect for your taste, and once they are thriving all you need to do is deadhead them to help them continue thriving through the summer. To plant these tubers, dig deep into your flower bed, plant the bulbs deep under the ground and make sure that they are in full sunlight. Water well for the first few weeks and they’ll bring some stunning displays in the summer.